Imagine being told you’ve got a mass in your chest, stage 3 Non-Hodgkin’s T-Cell Lymphoma. The Doctor believes the cancer’s treatable, but you face two years of chemotherapy, blood transfusions, lumbar punctures, and multiple hospital stays…Oh, and you’re 8 years old. That was my son in 2011. Can you spare $5? Let me explain why I ask. On April 11th, 2011, our lives changed forever. While traveling to a dentist appointment, my eldest son, Noah, complained of arm and chest pain. My wife’s motherly intuition kicked in and detoured to an urgent care facility. After several hours of testing, the on-call doctor discovered a mass in my son’s chest, pressing against his heart and trachea. By nightfall, a Life Flight crew transported my son to St. Louis Children’s Hospital, a three-and-a-half hour drive from home. To make a long story short, my son has now been in remission for almost 3 years. Though St. Louis Children’s administered the bulk of his care, Noah also received a portion of his chemo through a local St. Jude satellite clinic much closer to home. We believe in the mission and work of St. Jude. And that’s why we walk! In November of 2011, one of the teen girls at the church I serve, rallied a team of walkers for a local St. Jude fundraising event. When she asked permission to name the group “Noah’s Hope,” a lump formed in my throat and I fought back tears. Of course I consented. On September 26, 2015, we walk again, this being the 4th anniversary of “Noah’s Hope” participating in the St. Jude Walk and raising funds for St. Jude. So why do I ask for $5? Online donations to St. Jude won’t accept anything smaller than a 5 spot. So, here’s my challenge. Give up one value meal this month or a Grande Salted Caramel Hot Chocolate from Starbucks and donate at least $5 to St. Jude’s. I’m raising money for children battling cancer. I’m raising money in honor of my son. Click on the Noah’s Hope link above and make a difference! 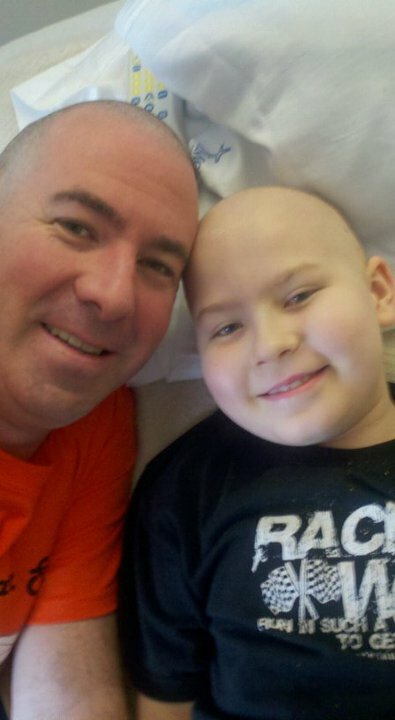 To make a long story short, my son has now been in remission for 4 years. Though St. Louis Children’s administered the bulk of his care, Noah also received a portion of his chemo through a local St. Jude satellite clinic much closer to home. We believe in the mission and work of St. Jude. And that’s why we walk! Here’s my challenge. Give up one value meal this month and donate at least $5 to St. Jude’s. I’m raising money for children battling cancer. I’m raising money in honor of my son. April 11th, 2011 rocked our world. It started out like any other day. My wife running errands with the kids on my scheduled day off. Out the door they went, two of our five children and my wife to a dentist appointment check-up. On the way, my 8 yr-old son complained about chest and arm pain. Immediately, my wife considered the possibility of a heart attack. She detoured to a local pediatric urgent care, and by nightfall a medivac-air crew rolled him into a helicopter and he was flown to St. Louis Children’s hospital. Three days later, the news came. Cancer. T-Cell Lymphoma. Stage 3. Thus began a two year cancer fight. By the grace of God and the competent care of the SLC staff, today my son’s cancer free. Because we know firsthand the battle kids face when confronted with the scary diagnosis of cancer, we are now supporters of the St. Jude’s Mission. Noah’s fight inspired a teenager from our church to do something for kids fighting this wretched disease. She recruited a walk team and named it “Noah’s Hope.” For the past 4 years we’ve walked and raised money for St. Jude. On September 26th of this year, we walk again. Would you consider helping kids like my son? In 3 months, I’m walking with team “Noah’s Hope” for St. Jude. And yes, I’m looking for sponsors. 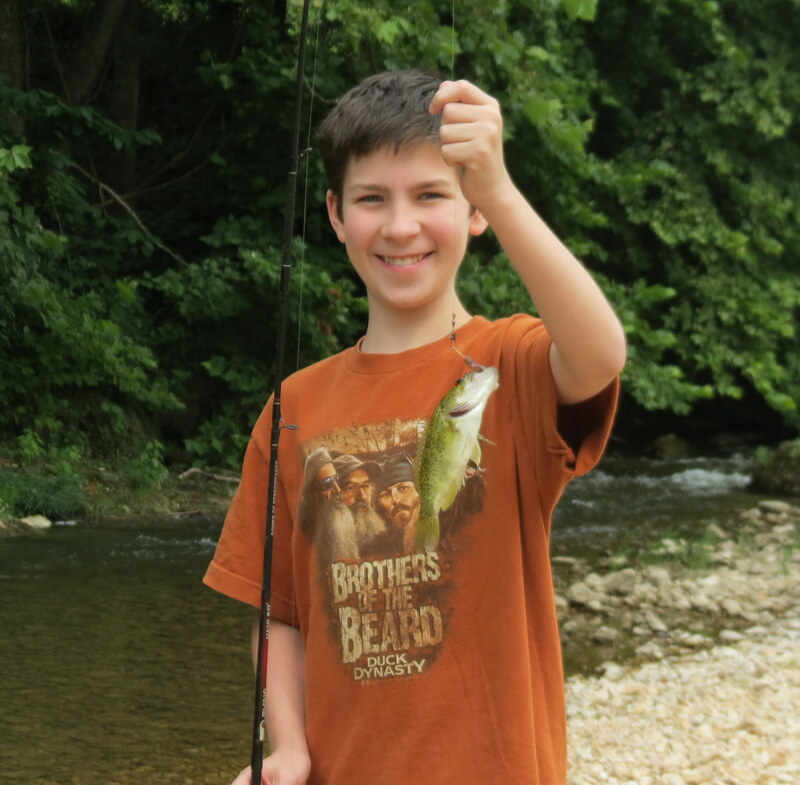 In April of 2011, my son Noah was diagnosed with Stage Three T-Cell Lymphoma. After two years of treatment, my son’s cancer free and for the second time since his diagnosis, he’s walking with the team bearing his name. If our team raises the most money for our region, “Noah’s Hope” leads all of the other teams from the starting line. And this year, this means leading around Springfield Cardinal’s Hammons Field. Yes, yes….All teams raising funds are winners, but, it’s also a ministry opportunity for our team. This year “Noah’s Hope” t-shirts will not only say “The Cancer Wars” (in honor of Noah’s love for “Star Wars”) but it will also share a truly meaningful verse: “I Can Do All Things Through Christ Who Strengthens Me.” And THAT is “Noah’s Hope.” Jesus. Today, Noah’s in remission, and has been for almost 18 months. But many other kids are currently fighting a battle that impacts the entire family. Alleviating financial responsibility on the household affords families the opportunity to focus on Cancer…a big enough stressor on its own. Last year I raised a little over $900. and this year I’m setting my sights higher. I’d love to personally raise at least $1,000. If you’d consider a $5 donation…all of you, Noah’s Hope would easily raise the most funds and I’d break last year’s personal fundraising mark. More importantly, kids win. Kids like my son, Noah. So, can you? Can You Spare $5? April of 2011 rattled the very foundation of our world. A day that started out as a trip to the dentist, ended in a Life Flight to St. Louis Children’s Hospital. An urgent care doctor found a mass in my 8 year old son’s chest, pressing up against an airway and pushing near his heart. Will you spare $5 to help our team and even more importantly help kids with cancer? Click on “Support Bryan” and thanks in advance!